Atlas has suffered a number of launch delays, originally scheduled to come out on Dec. 11, it was delayed to Dec. 19 which could be seen on the official launch countdown on the Atlas website. But, when the countdown ended, fans discovered the pirate MMO was delayed yet again. The final Atlas early access launch happened Dec. 22 and a lot of players were eager to get into the game. The Atlas servers felt like they were ran on potatoes, the game was literally unplayable for most people for the first 24 hours because their ping was well over 1000. A ton of negative reviews were posted on the Steam Atlas product page, and a majority of people refunded the game. Fast forward a week later, the game looks and feels good. I mean, it is in early access after all, so all the bugs and glitches are justified. 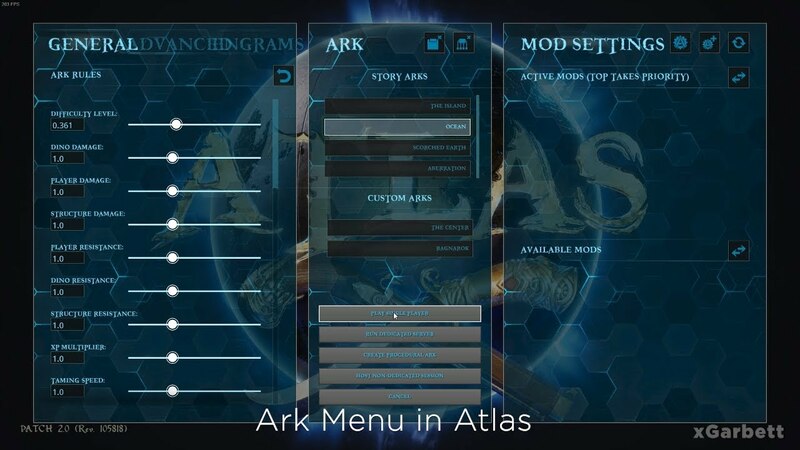 What is not though, is the players finding out a secret Ark menu accessible from inside Atlas— which meant the game was literally copy-pasted and launched just as a cash grab. Nonetheless, I did buy the game, and played it quite a bit. It is really fun, but there are a lot of issues that get ignored by the developers of Atlas. For example, just as the servers became stable, people started duping items and it went unpatched for a while, and the best part, there was no rollback after the players did this. A majority of balance issues were present– and some of them still are. By making a simple raft and sailing it into the bigger ships you could actually destroy the ships (even on PVE servers), Fire Arrows were annihilating everyone, not wearing any armor was actually better than doing so because you would be too slow with armor and a person without any armor could literally kill you– so there were a ton of naked people running around killing the ones that had gear! After the duping issue, hackers found a way to use Aimbot and ESP in the official Atlas servers. Killing anyone in their way, pirates losing gear and buildings they were grinding for hundreds of hours, all gone in an instant. It was obvious that all of this is the result of Atlas being an Ark reskin— all of the problems that Ark had during it’s Early Access are now the problems of Atlas. As if the previous issues were not enough, Ghost Ships were introduced, which are basically A.I. Ships that are made to hunt down players on the open sea. The Ghost Ships were not coded correctly, which resulted in DOZENS of them being spawned, even around starter aka Freeport Islands! These Ghost Ships annihilated all player-made Ships that were docked on Islands– effectively making a soft server wipe. Even the smallest Ships “Sloop” and “Schooner” take a bunch of time to build, so this pissed off a lot of the playerbase and streamers, which resulted in the amount of players online to be more than halved overnight. The Atlas devs quickly resolved the Ghost Ship issue and tweaked them over a couple of patches, but the damage had been done. The Atlas servers are not being region blocked— which means a lot of Chinese players started popping up on the official servers. The Chinese players are well known as the hackers in most games and they generally just harass all non Chinese players. This resulted in the Chinese players wiping all the resources from islands, effectively making the new spawned players not be able to do anything. The Atlas developers did not tweak the resource spawn times effectively, which led to islands on official servers being empty for hours. These players raided and destroyed everything non-Chinese in their way which made a lot of people quit (they found ways to destroy non-Chinese player’s buildings and ships even on the PvE servers) along with hacking and duping (again). Now, the Black Butterfly group of hackers. These players were caught cheating on the Official Servers. There is proof where they tried spawning things such as Whales (and they managed to do so later), but ended up entering the commands into the server chat where all players could see them! A Steam account from an Atlas admin was hacked (presumably by the group mentioned above) and it was used for spawning Whales, PLANES and TANKS all over the place! There are several streamer clips where you can clearly see that it’s an abuse of admin powers and Planes and Tanks are not even meant to be in a PIRATE game ‘cough’ Ark reskin. The hackers destroyed everything but thankfully Grapeshot rolled back the servers in question by 5 hours. The rollback though, again, resulted in players losing 5 hours of play-time. Check the clips below if you want to see these things for yourself! A tank in a pirate game???? And as if Tanks and Whales were not enough… Airplanes! Last, but probably not least hacking scandal, another Admin account was hacked (or there’s a much bigger hacker issue in place) because on Jan. 20th there were Whales and Dragons being spawned all over the server once again! As if Whales on land weren’t enough, they even spammed the server-wide alerts with a message “Subscribe to PewdiePie”— these alerts are usually used when there is going to be a maintenance and it covers a big chunk of the screen. Only one server had this problem though “Official NA PVP Network, The Kraken’s Maw“, and as a result it has been rolled back, again, resulting in people losing their game progress. Don’t forget to subscribe to pewdiepie message.